Imperial Assault – I Blame Mr Awdry! It's been a few weeks since the last game of 40k and a new suitor has crept into view. 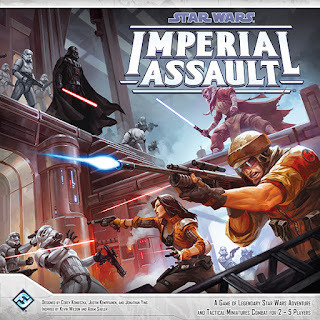 Imperial Assault by FFG has been on my radar since the day it was first announced 3+ years ago. I had been enamoured with X-Wing for a while so when I heard they were doing character miniatures I was over the moon ("that's no moon, it's a space station!"). I had collected lots of WotC Star Wars miniatures many years ago, and lost them (long story), so this was perfect. However, knowing it would be a complete money sink and unsure how much I would actually play the game (I don't get to play X-Wing much) I somehow managed to stay clear. Then our good friend Mr Awdry announced that he had "accidentally" acquired Imperial Assault – not only that but the photos displayed on his website betrayed the fact that he had bought at least a couple of expansions and a host of boosters as well! He told me about how wonderful the models were and how fantastic the game was. 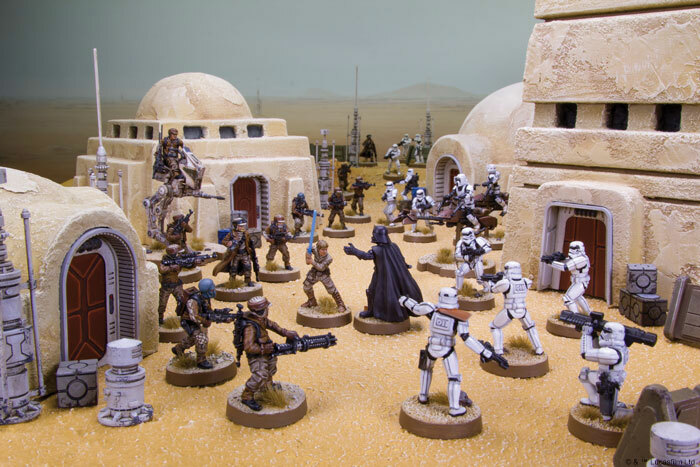 Zombicide meets Star Wars – two of my favourite things in one game. I was starting to wobble in my hardline stance against a purchase. Then I made a fatal mistake… I downloaded the rules to read. 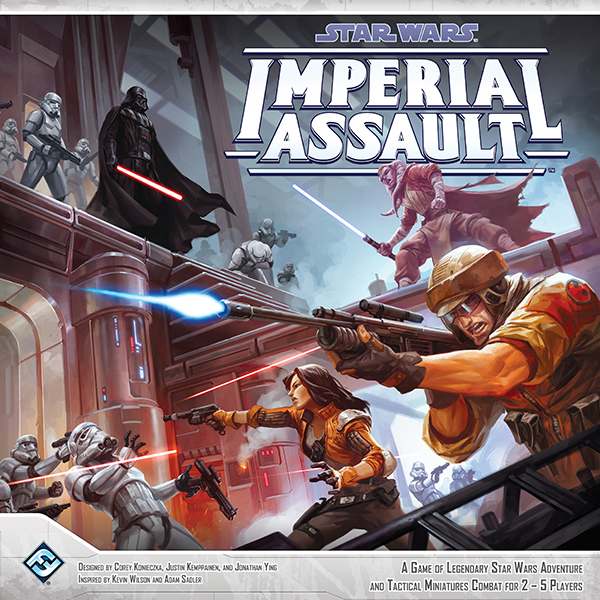 Then I went onto the Chaos Cards website (our local store) and saw everything Imperial Assault related was cheaper there than anywhere else. I couldn't help myself. My finger slipped and before I knew it I had ordered some character boosters. With the core box game due to arrive in the next 48 hours I picked up aforementioned boosters from the post office today and paraded them about the office desk, basking in their Star Wars goodness. But you see it doesn't stop there – oh no! Star Wars: Legion is a miniature wargame, akin to 40k by what I am reading. 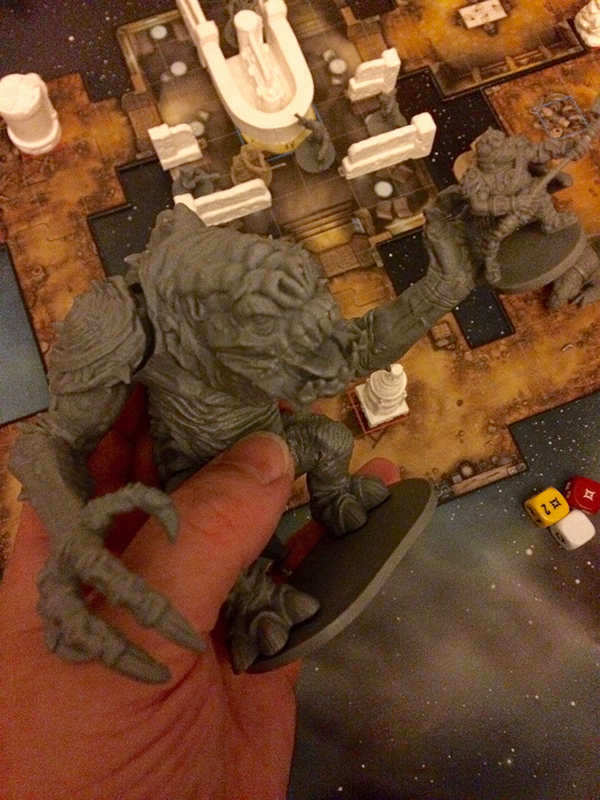 It would appear that this is the miniatures game I have been looking for my entire life!! If I am able to field an army of Imperials with a few bounty hunters and Sith thrown in for good measure I think I may have died and gone to heaven. Rules are due online prior to release, but having seen some demos on YouTube there would appear to be a similarity with X-Wing. That'll do me – heaven awaits! It's been a quiet fortnight, as far as hobby is concerned. We've been away on holiday in Devon and prior to that it was all about 40k as Bull and I locked horns on the gaming table to see what our respective armies could achieve under the new rules. Running alongside that I have taken another look at my Dark Crucible rules (yes, again!) and I have to thank Paul O'G for that. He contacted me with some interest in having a look at where things had got to, and I felt compelled to put things in order before releasing my notes to someone else. 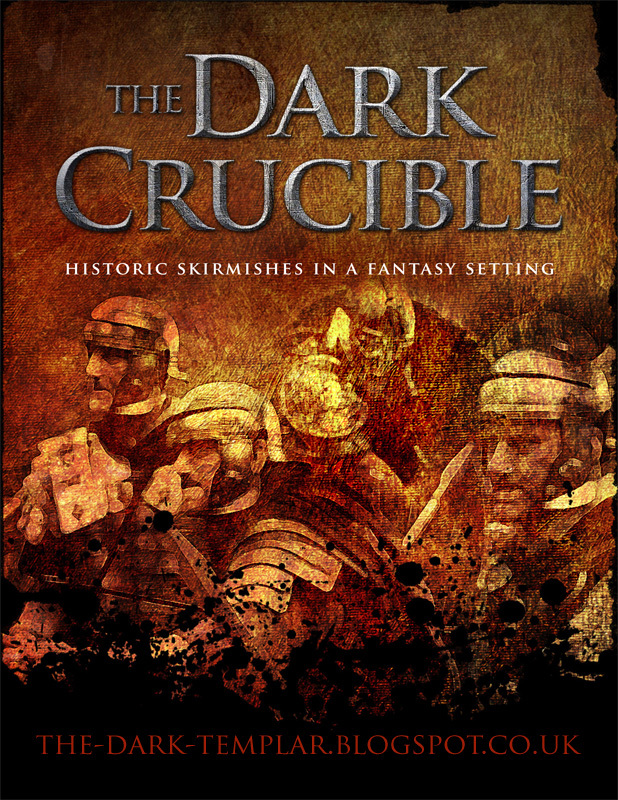 I found myself trying out new things and before I knew it had created a new iteration – combining Dark Crucible and Project Hood rules. So buoyed was I by the progress that I have been playtesting – in a constructive way this time – and things are developing nicely. More to come on that no doubt in the future. However, when we go away on holiday I like to have something to occupy my mind and, given that Dark Crucible was in a good place, I looked to my other project – Out Of Time. I went back to basics and mapped things out in the evenings, taking on board my new found constructive process rather than random adhoc thoughts. 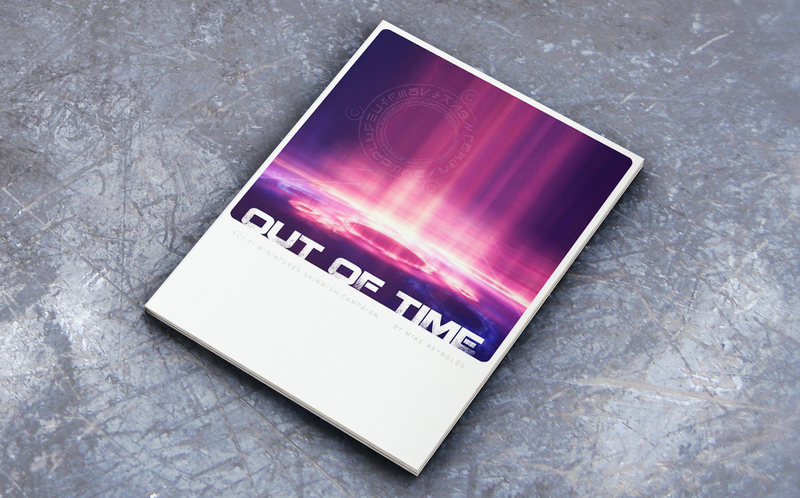 I am pleased to say that I have really enjoyed my time putting a fresh document together. The basics are yet to be playtested, but it's certainly one I'm looking forward to. Not sure how the new Necromunda will impact my thought process for this project when it's released later this year, but it's all exciting. I have promised myself that I will make one of these documents available for all to see at Christmas, regardless of what state it's in. The other thing that has impacted me in the last couple of weeks is a lack of finances – in fact things are a bit grim on that front right now. I have taken the decision that words are worthless unless backed up by action, so action is what is needed. I have promised myself that I will not (cannot?) buy any more models of any kind until at least a good amount of the backlog (tbd) is either painted or sold. With that in mind I immediately set to finish building models from the Dark Imperium box set and get bolters drilled and models undercoated. On top of this, after my fun with the Out Of Time rules, I dug out the Infinity models I had been collecting to use with these campaigns. Then I built them too! Not bad for two evenings' work. But there's a long way to go yet – that's a lot of models to paint. I'm also looking to sell some of my other models and games, including my modern day Zombicide stuff and the Massive Darkness Kickstarter that I only just received – so if anyone is interested let me know. More painted things to come soon!